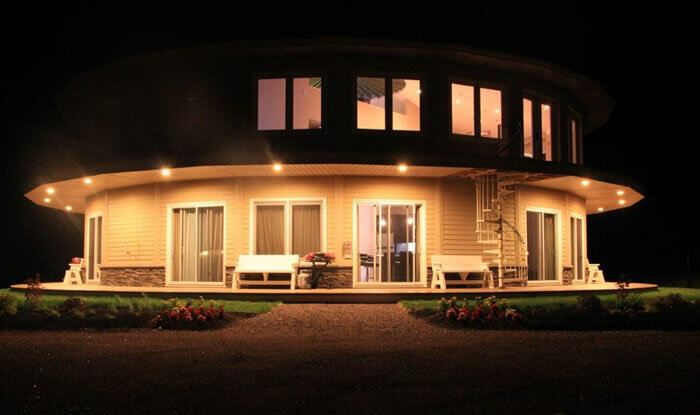 Located in North Rustico on the Green Gables Shore of Prince Edward Island, Canada, the “Around The Sea” rotating house is the world’s first of its kind! It has been featured in the Toronto Star, The National Post, CBC, CTV, and more – undoubtedly because it’s quite unique. 'Around The Sea' is owned by Steve and Stephanie Arnold, who came up with the idea upon watching a show in Australia (where they now live) that featured a rotating house. 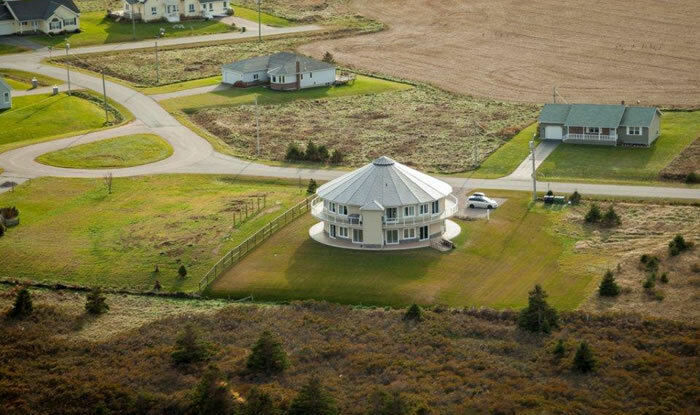 The couple already owned land in PEI and thought it would be the perfect location to build their version of a rotating house. The Arnolds contacted Luke Everingham, the designer of Everingham Rotating Houses who had previously built the house they saw on TV. After purchasing the platform technology from Everingham Rotating Houses, it was incorporated into a premade circular wood house by Deltec Homes in Asheville, North Carolina. The rest is history! This 5,000 square foot home has two storeys and includes four condos on the main floor (that are each 625 square feet), as well as a 3,000 square feet lower level used for tours. Since the house rotates steadily throughout the day, every suite will eventually get a gorgeous ocean view. 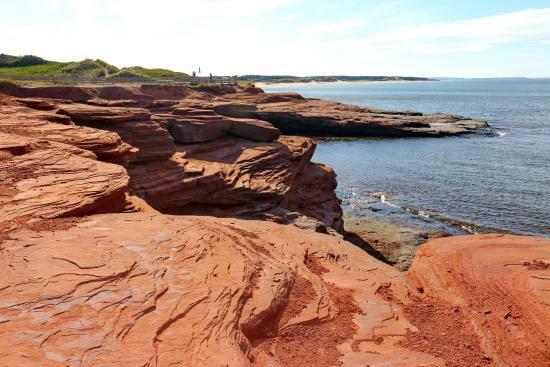 But don't worry because when your suite isn’t facing the ocean, you’ll still be able to appreciate the landscapes that consist of the red sand cliffs, rolling farms, and PEI’s North Shore. As well, the 'Around The Sea' Rotating House overlooks PEI’s National Park Beach which you can access easily from the home’s private path. This makes for the perfect getaway whether you want to explore nearby hiking options or would rather just relax by the water. The suites also have a 50-inch deck, so if you’re feeling lazy, you can tan in the sun without leaving the house! Although it’s still chilly here in Canada, if you start planning your stay now, you may have a summer escape to look forward to! As seen on TripAdvisor, rental rates for each condo range from $136-$214 CAD, daily. With every stay, you’ll receive a welcome basket filled with local drinks, food, and treats to enjoy during your vacation. 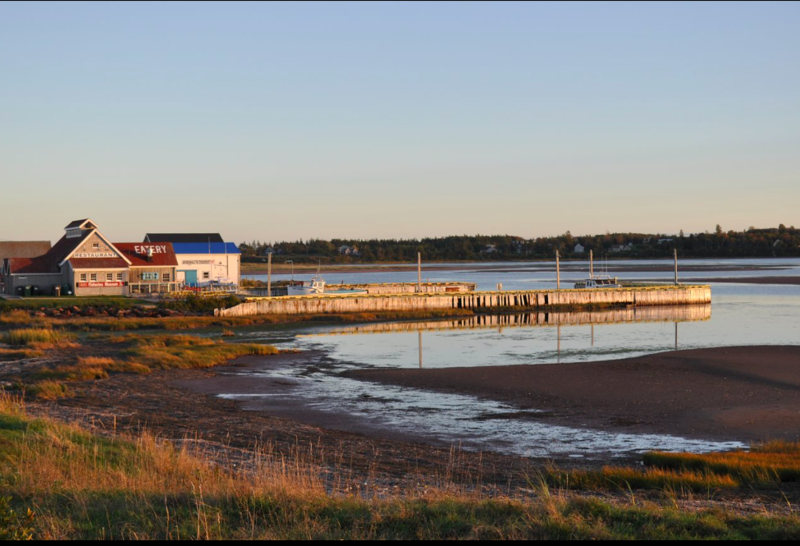 Around The Sea is just minutes from North Rustico’s main village that has shops, restaurants, fish markets, the boardwalk, and more. North Rustico differs from other vacation areas in PEI because it’s open year-round. It also has all the necessities such as a grocery store, liquor store, hardware store, bank, and coffee shops. The best part? For all of you L.M. 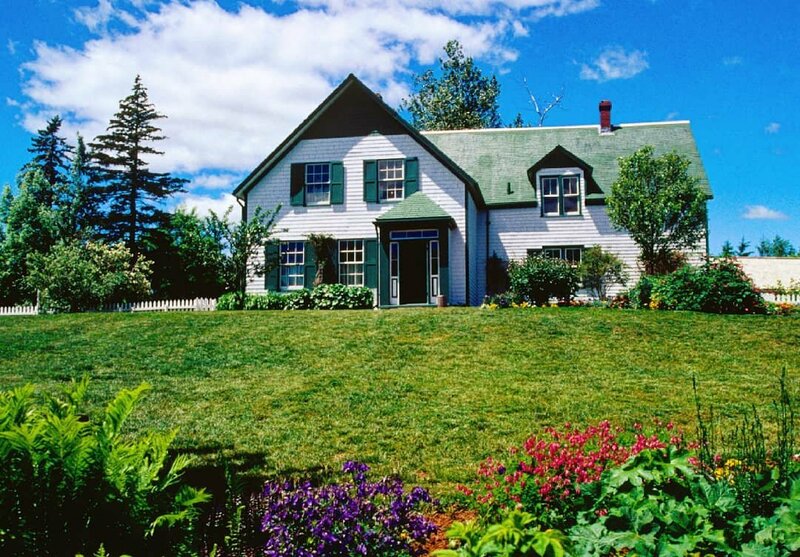 Montgomery's Anne of Green Gables' lovers, this house is a short 10-minute drive away from Cavendish, one of PEI's most popular summer destinations. Located on the northern shore of PEI, Cavendish is the area where you can go visit Green Gables and Avonlea Village! This is a perfect place to stop and experience something that’s signature to the island. 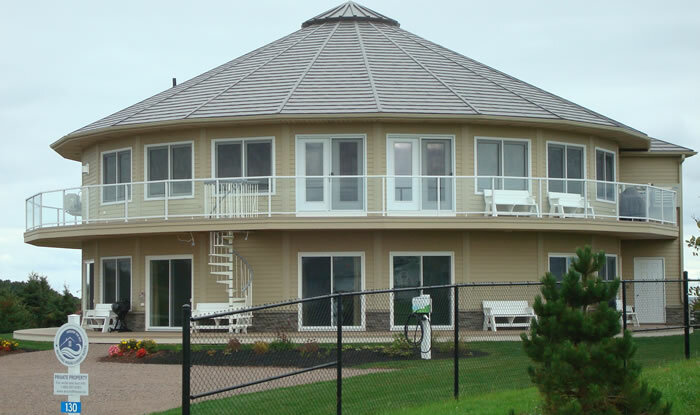 I think that if I was planning a trip to PEI, I would most definitely try to stay at the Around The Sea Rotating House. Not only are the suites themselves beautiful and spacious, but it would make for an eccentric experience. I don’t think many people can say that they’ve stayed in a house that rotates! To learn more about the Around The Sea Rotating House, or to plan your stay, visit Around The Sea.